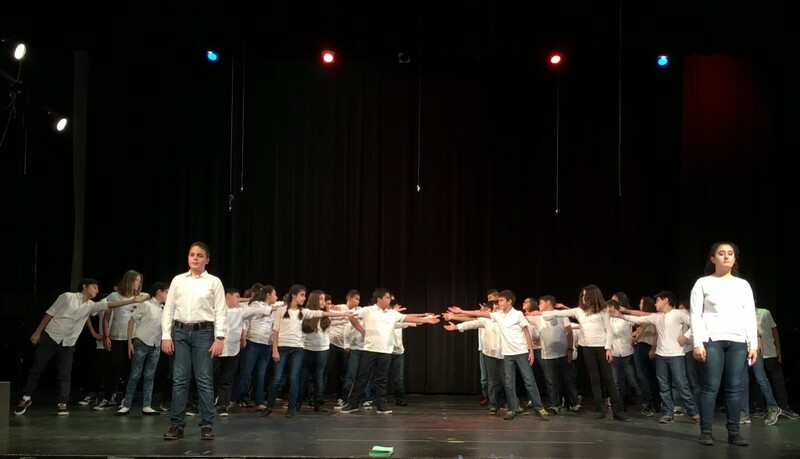 English Language Development (ELD) students at John Muir Middle School recently presented Homeland: Poetry in Performance onstage at the school auditorium for family, friends and school officials. 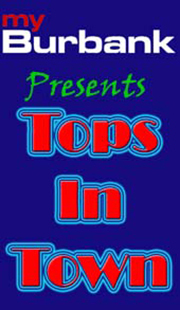 Students give an encore performance Friday, February 5, at the Muir Middle School Auditorium for Burbank City officials and invited guests. 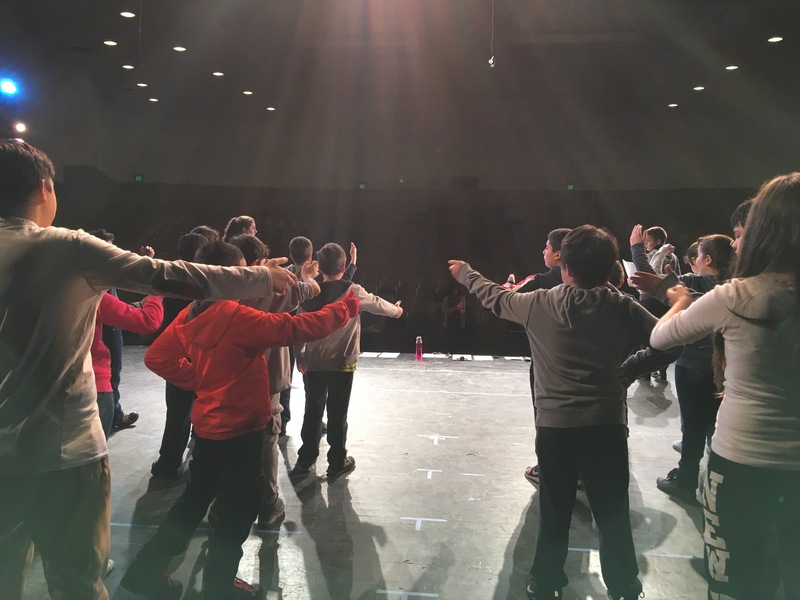 Approximately 48 sixth-, seventh- and eighth-grade students, most of whom have emigrated to the United States within the past few years, participated in a series of workshops in November and December 2015 and January 2016 to prepare for Homeland: Poetry in Performance. Led by artist teacher Kate Randolph and funded with a grant from Burbank Arts For All Foundation (BAFA) and seed money from Walt Disney Studios and the Music Center, students in Jessica Wertlieb and Jim Koontz’ Beginner and Early Advanced ELD classes analyzed and wrote poetry and studied works of a few American poets. 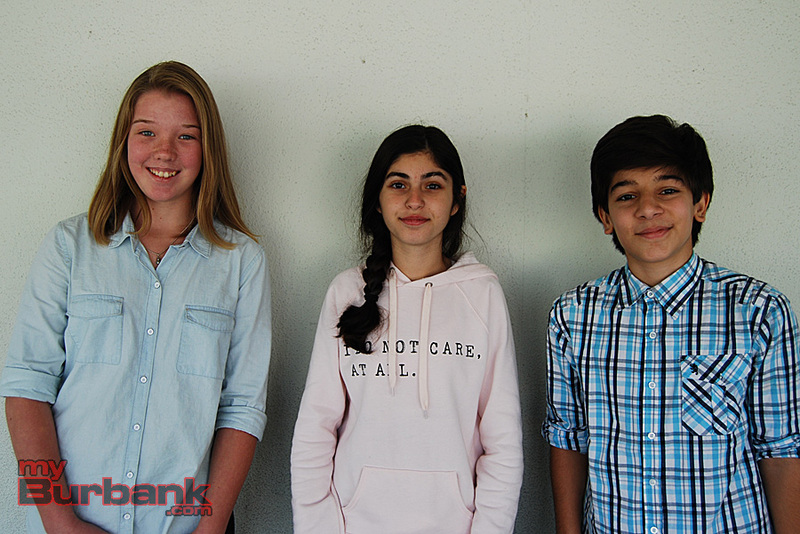 Some of the students wrote about what they missed the most about their country, about their house and their bedroom and what they’d like to go back and see, said seventh-grader Fima Kaoumi. 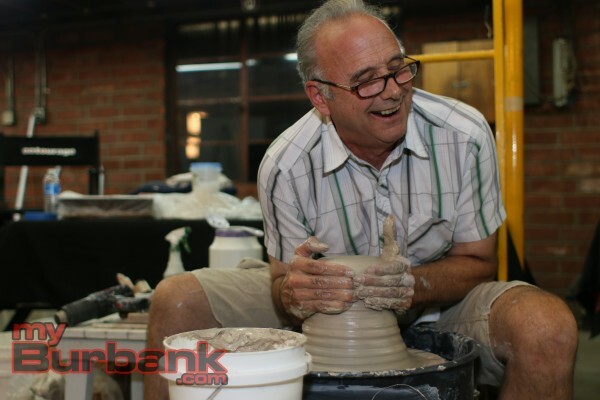 Kaoumi emigrated from Syria and has been in the Burbank area for a little more than three years. Piunik: I feel sad that I’m not with my grandmother in Tehran. Clara: I worry about my cousins Kevin and Mousa in Syria. Alexandr: Home is my country, Armenia, my friends and my family and me. Nora: I worry about the rose in my garden because it gets frozen. Karen: I see a picture of my friend and me when we were little and we were playing chess. Fima: I worry if somebody took the pictures off the wall of my bedroom. Alina: I try to remember my room. Piunik: I dream of peace and joy for my country. Clara: I say to my mom that I will not forget how to speak Arabic. Alexandr: I dream that I’m going to be the President of Armenia. Nora: I say that it’s not good to be fighting, because the humans are friends, brothers, sisters, parents and grandparents. 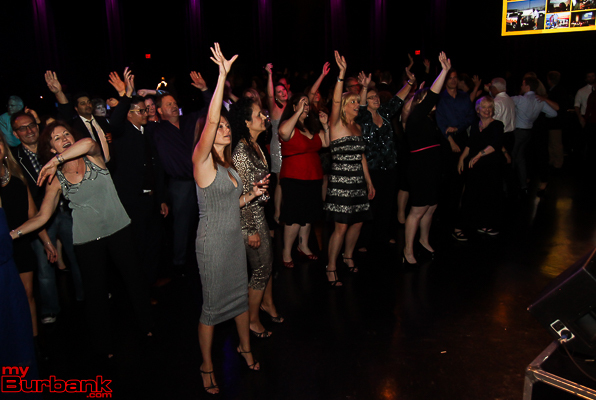 Fima: I dream about seeing my friends once again and jumping rope and laughing. Alina: I hope that my friends still remember me. Karen: I hope to go and see my home again. 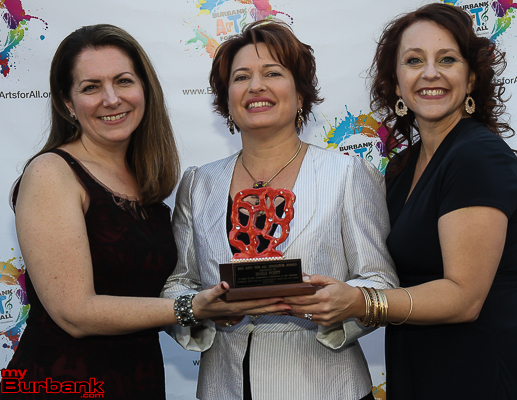 Nora Fulup, also in seventh-grade, came to Burbank from Romania about seven months ago. She wonders what will happen to the beautiful purple and red roses at the home she left, because the weather is freezing now in Romania. It was very scary for her to get up on stage for the performance because she had never done that before, Fulup said, but she was really happy she gave the performance. 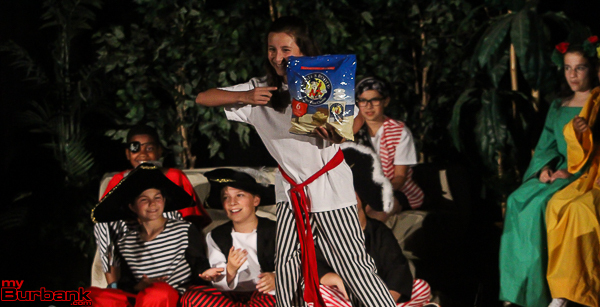 Hailing from Iran, seventh-grader Mishel Hartooni has been in Burbank for about three years. 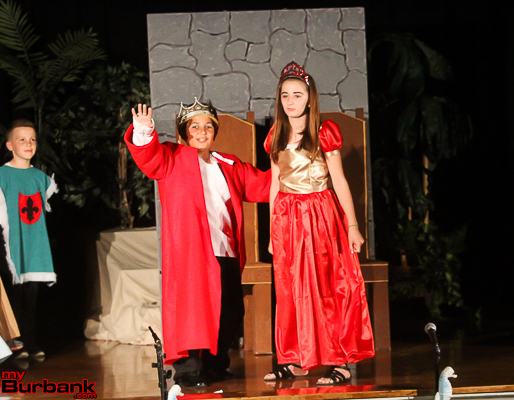 He also enjoyed studying poetry and writing his part for the group performance. Students worked on presentation skills, including articulation and non-verbal movements, with Randolph to help communicate moods and meanings found in the poems, explained Wertlieb. The 2015-16 school year marks the fourth year in a row Randolph has visited Muir for the weekly series of workshops, held over three months. 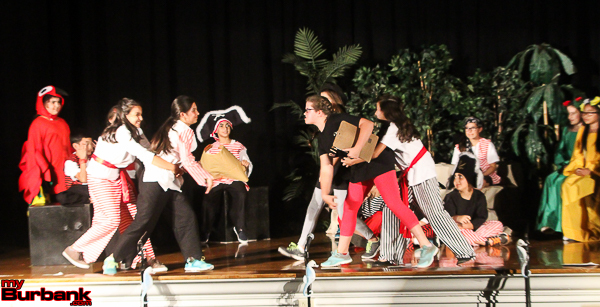 “This year was different, however, because she incorporated the students’ own writing into their performances,” said Wertlieb. Kaoumi enjoyed learning the movements to the different poems, working with the other kids and performing, too. “It helps me improve my English and I learned a lot of new words that I never heard before,” she added. The students hail from countries including Saudi Arabia, Armenia, Russia, Iran, Thailand, Romania, Hungary, Syria, El Salvador, Mexico, Czech Republic, Brazil and France. In addition to their self-created poems, the middle-schoolers recited works from poets Mahmoud Darwish, Langston Hughes, Maya Angelou and Harumi Ikeda. 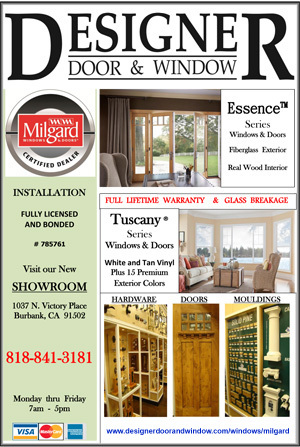 This entry was posted in News, Schools and tagged bafa, BUSD ELD, Disney, English Language Development, homeland: poetry in performance, John Muir Middle School, Music Center, poetry on February 1, 2016 by Lisa Paredes. 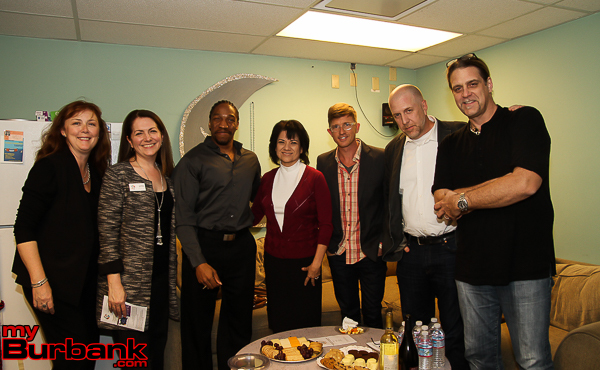 Burbank Arts For All Foundation (BAFA) board members gathered on Thursday, November 5, to present a check to the Burbank Unified Board of Education for more than $30,000 towards BUSD arts programs as part of the Foundation’s Fall 2015 grant cycle. 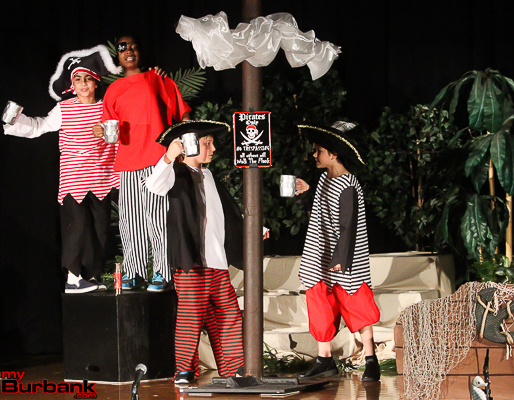 “We see arts education – in its broadest term – as basic instruction for every student in the District and quite possibly a career pathway for our City’s future employees,” commented BAFA Executive Director Trena Pitchford. 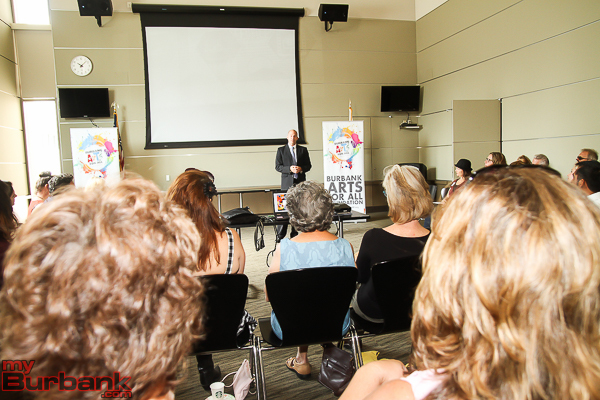 “We are pleased to report that we were able to invest $30,473 for arts education programs. This is the second largest investment we have made in a single grant cycle,” continued Pitchford, in her address to the Board of Education. 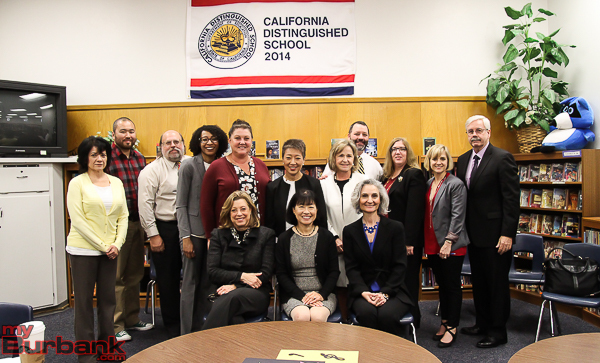 Several teachers and principals of school programs funded in the Fall 2015 BAFA grant cycle including Washington Elementary, Miller Elementary, Edison Elementary, Jordan Middle School, Burbank High School and Magnolia Park School also attended the school board meeting. 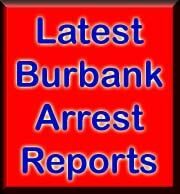 For the Foundation’s Fall grant cycle, 24 applications were submitted for funding, including submissions from six elementary schools, all three middle schools, both Burbank and Burroughs high schools and the Magnolia Park School for a total financial request of $65,198.61. “This was the first cycle with our new grant application and guidelines, which allowed us to understand more of the academic goals of each grant request, the timeline of the project or program and samples of a teacher’s rubric or assessment tools,” Pitchford added. 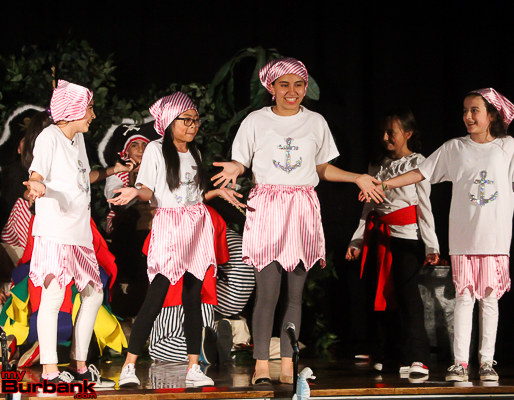 The Foundation provided seed funding for new programs, including media arts at Miller Elementary with a green screen and equipment and integration of theater arts at Edison Elementary through an artist-in-residency. BAFA continues funding for professional development for teachers in both elementary and secondary education, elementary school tile making, clay and visual arts, expansion of digital media arts at Jordan Middle School to incorporate 3D printing and robotics, musical instruments for all three middle school programs, expert coaches for high school instrumental music and artists-in-residency programs in songwriting and performing arts at Magnolia Park School. 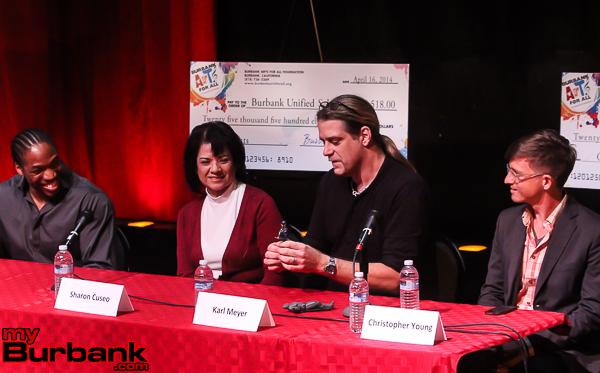 Pitchford also noted BAFA’s efforts to increase or sustain equity for all students by investing in the growth of both high school dance programs through funding supplies for tap dance and investing in BUSD’s College and Career Pathways Animation program with funding for Cintiqs that will decrease the tablet to student ratio to 1:2. 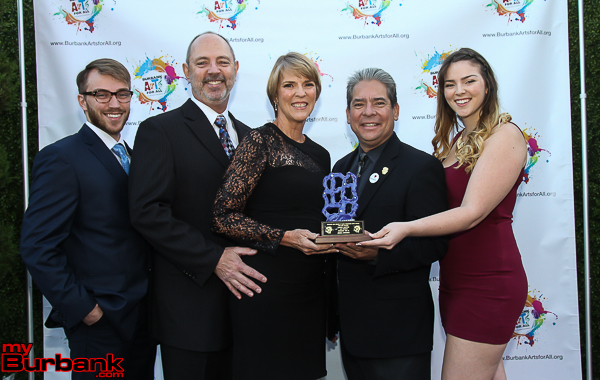 She also commented that many of the BAFA-funded programs are in alignment with the recent funding that BUSD’s Board of Education has provided through the State of California’s one-time funds, the District’s LCAP priorities and goals stated in the District’s Arts for All plan. 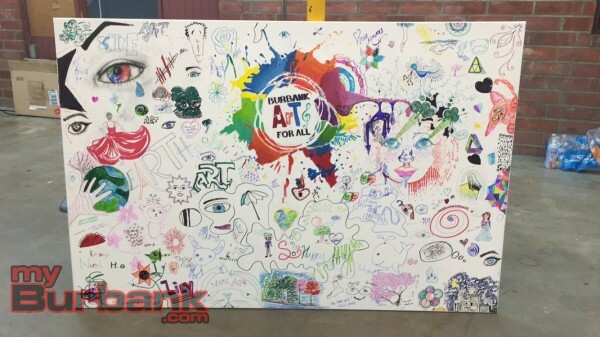 “This is a huge celebration of our District’s Arts For All ‘eco-system’ and partnership with you and our parent and business community,” she said to school board members. 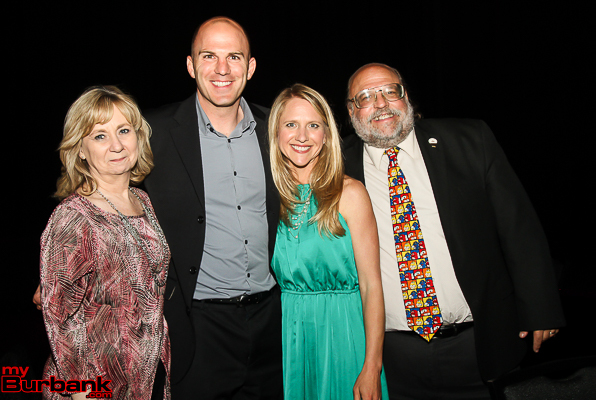 BAFA’s total funding since its inception in 2006 now stands at $344,555.01. 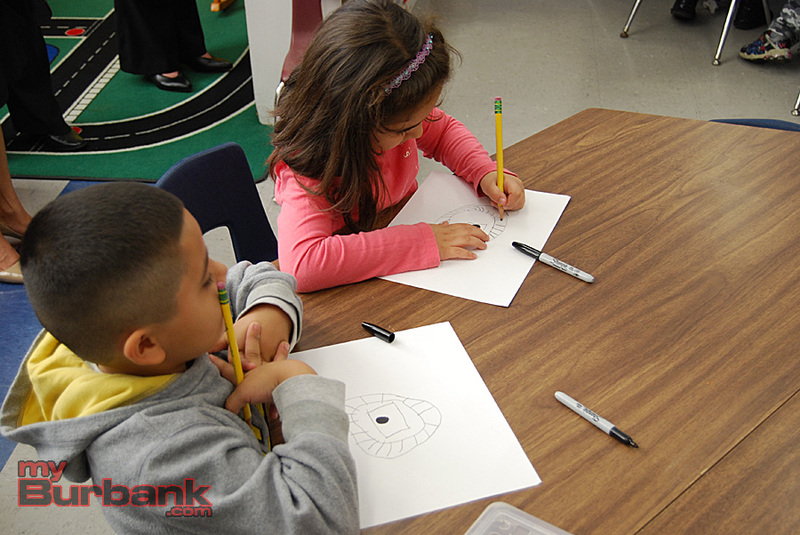 The Foundation has funded 209 grants to all K-12 schools within Burbank Unified. 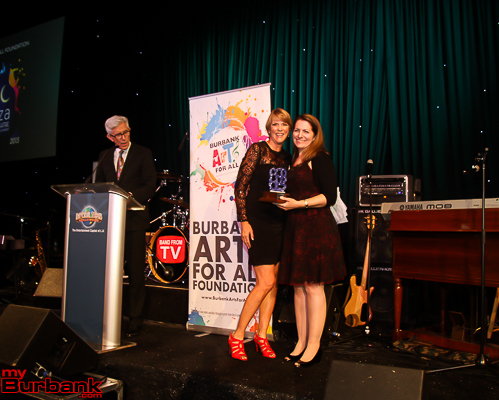 “There is certainly more to do to provide standards-based sequential arts education programming K-12, but all of us in our ecosystem should be very proud of what we continue to grow and sustain in Burbank Unified for the benefit of the thousands of students who have passed through its halls in 10 years,” she also said. 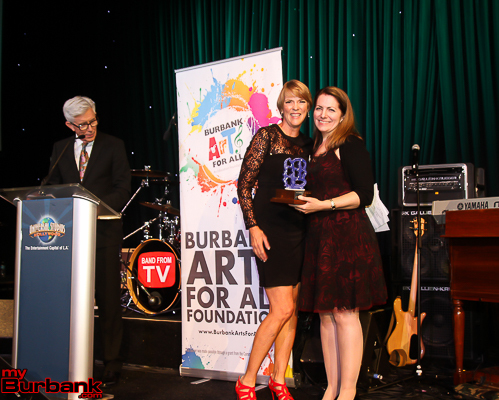 This entry was posted in News, Schools and tagged Arts for All, bafa, Burbank Arts for All Foundation, BUSD, busd arts on November 12, 2015 by Lisa Paredes. 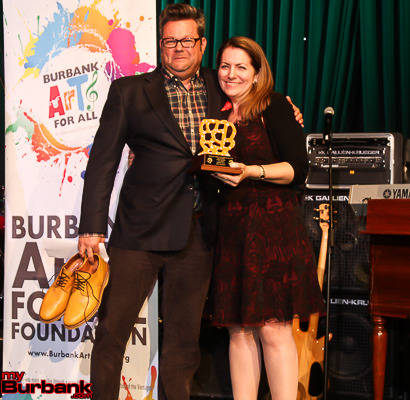 Burbank Unified Superintendent Matt Hill challenged attendees at the Burbank Arts For All Foundation’s recent Community Meeting to be leaders in the creation of a community vision plan for the arts in Burbank. 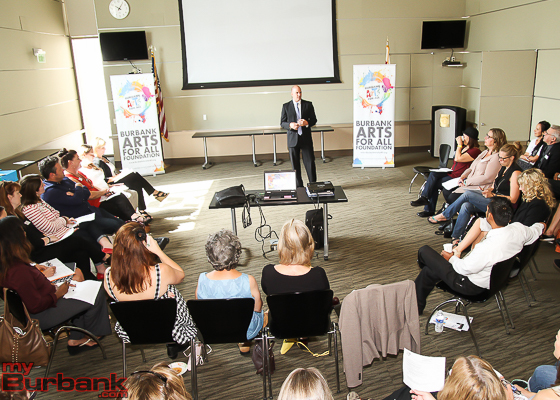 Held at the Community Services Building on Wednesday, September 2, the BAFA Community Meeting featured BUSD Superintendent Hill and BUSD Visual & Performing Arts Coordinator Peggy Flynn, who gave an overview of the history of the District’s Arts For All Plan and the creation of the Burbank Arts For All Foundation. 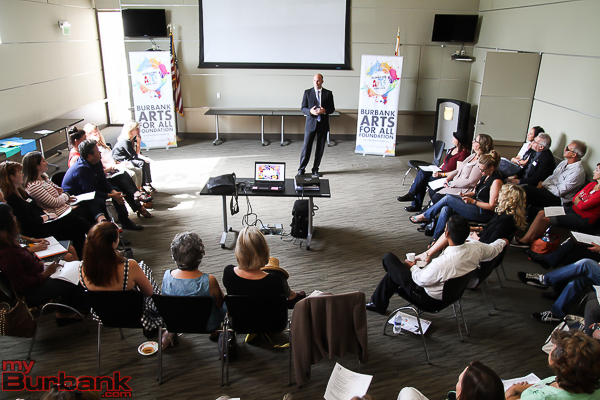 “My challenge for all of us in this room and for the team is, what I want to take to the Board…, is a community vision plan for the arts,” stated Hill. 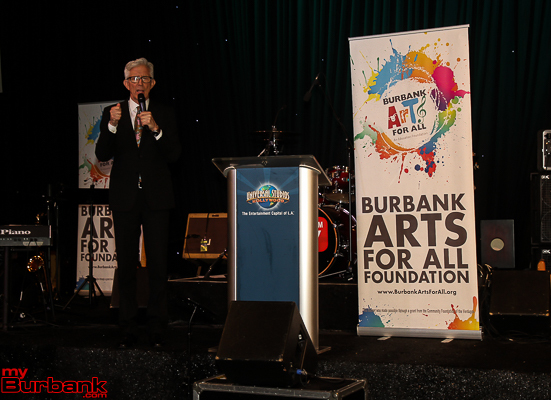 Hill noted that as he was researching Burbank in preparation for interviewing for the BUSD Superintendent position earlier in 2015, he came across the District’s Arts For All plan. He called it a good, solid, working plan, bringing together partnerships with business and parental involvement integrating the arts throughout the school day. 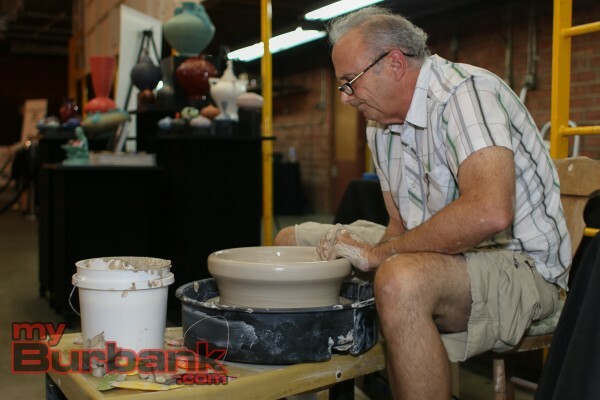 Flynn discussed the recent history of the arts in BUSD. In 2003, there were virtually no arts programs paid for by the District, with only schools in affluent areas providing arts programs paid for by fundraising. 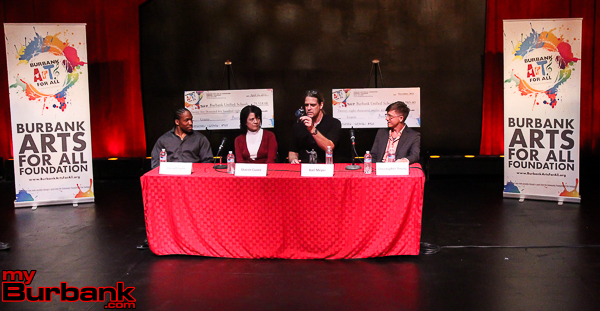 BUSD joined the L.A. County Arts Commission in 2003 and since then, has had a Board of Education whose members have supported the arts in schools, and access for all students to the arts, Flynn noted. Many gains have been made in the past 12 years, although the recession beginning in 2007 did affect roll out and growth of arts programs. Currently, for the 2015-16 school year, there has been a strong elementary school music program expansion, with five dedicated music teachers paid for by the district. 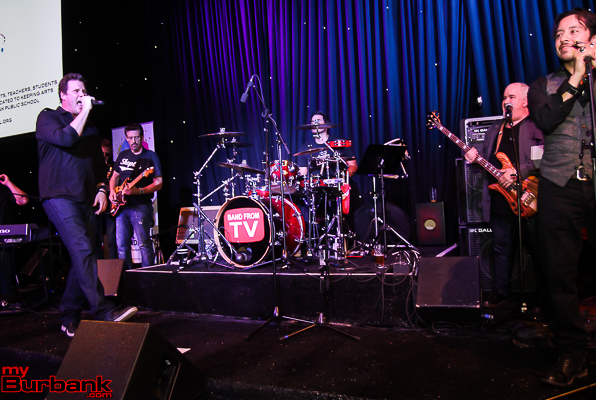 Instrumental and music programs paid for by Education Through Music – Los Angeles (ETM-LA), a music education nonprofit, serves students at three BUSD elementary schools. 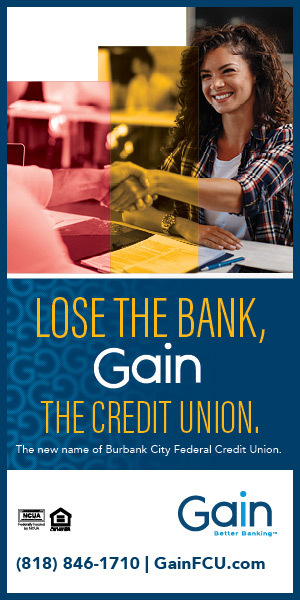 With the College And Career Pathways program, expanding partnerships with businesses and government officials, artist-in-residence programs, professional development for integrated arts for grades K-12 and new after-school high school classes in Animation and Armenian for college credit, Burbank Unified has come a long way since 2003, Flynn pointed out. 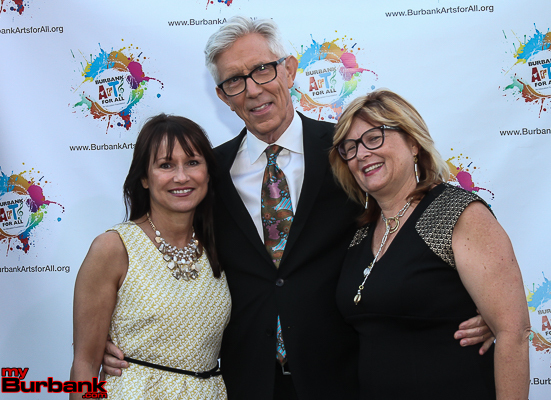 “Having our new Superintendent share the importance of the arts in his own life and his commitment to seeing us continue to realize the goals set in the Arts For All plan was really great to hear,” commented Suzanne Weerts, BAFA Community Outreach Working Group Chair. 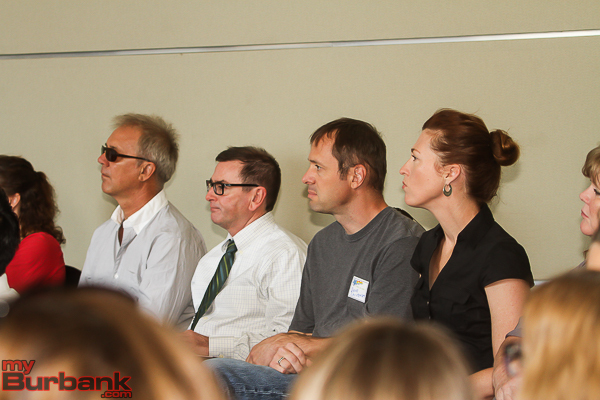 “Many of us who have been involved with this group ‘pre-foundation’ now have kids who are seniors or just starting college,” said artist and parent volunteer Jamie Butterworth, who opened the meeting with a talk about the importance of making mistakes, taking chances, experimenting and letting go in creating art. 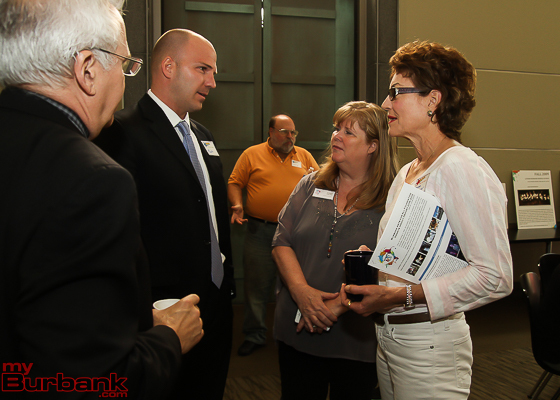 Wednesday’s BAFA Community Meeting was attended by BAFA Board Members, Burbank educators, parents, community members, BUSD Board of Education members Larry Applebaum and Charlene Tabet, Burbank City Council member Emily Gabel-Luddy, Mayor Bob Frutos, BUSD Director of Elementary Education Peter Knapik, along with Flynn and Superintendent Hill. 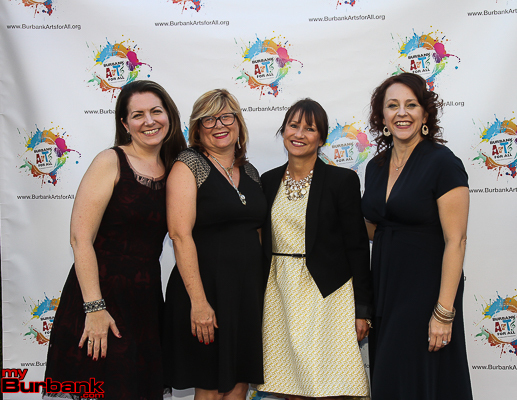 This entry was posted in News, Schools and tagged bafa, bafa community meeting, burbank arts, BUSD, busd arts, busd arts for all plan, superintendent matt hill on September 8, 2015 by Lisa Paredes. 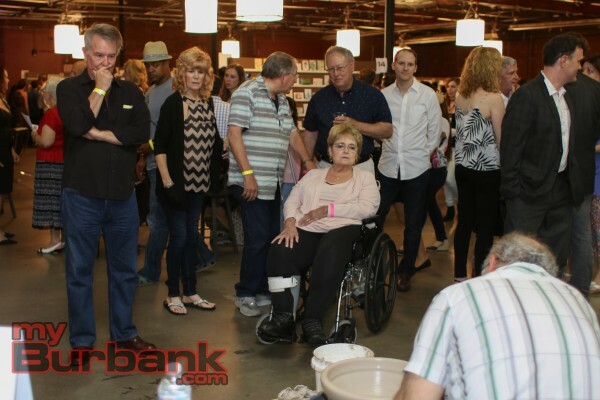 The Burbank Arts For All Foundation (BAFA) has issued a call for entries for their third annual Secret Art Show which will be held on Saturday, September 26. 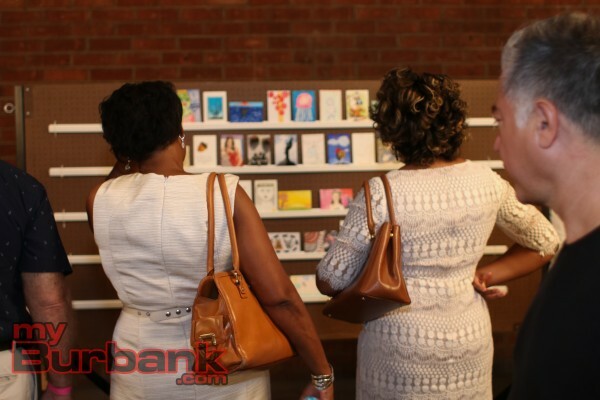 Artists of any age are welcome to submit works of art on 4×6-inch cards for inclusion in the Secret Art Show through Friday, September 18. 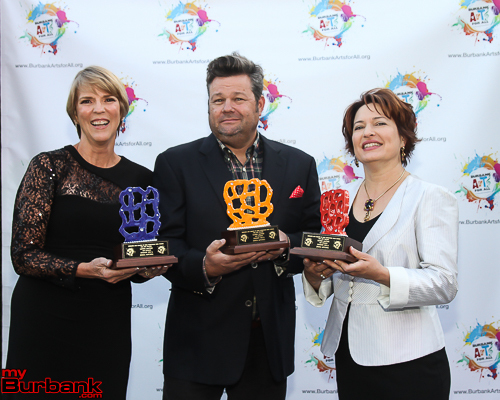 The Secret Art Show displays art by renowned artists, celebrities, Oscar Award-winning filmmakers, animators, Burbank City officials, along with area teachers and students. 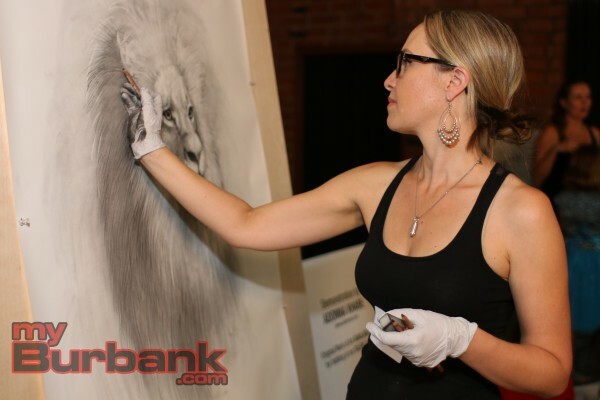 The one-night-only event allows patrons to purchase individual artworks for $40 donation each. Upon purchase, the Secret Artist behind the work is revealed. 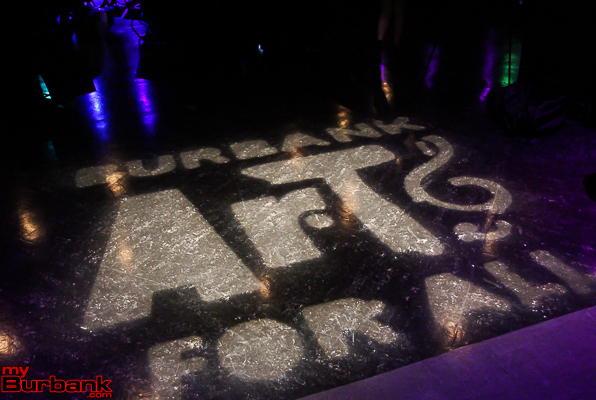 Those interested in submitting art and become one of hundreds of Secret Artists may visit the BAFA webpage and download the entry packet at http://www.burbankartsforall.org/wp-content/uploads/2013/08/Artist-Entry-Packet-2015.pdf. 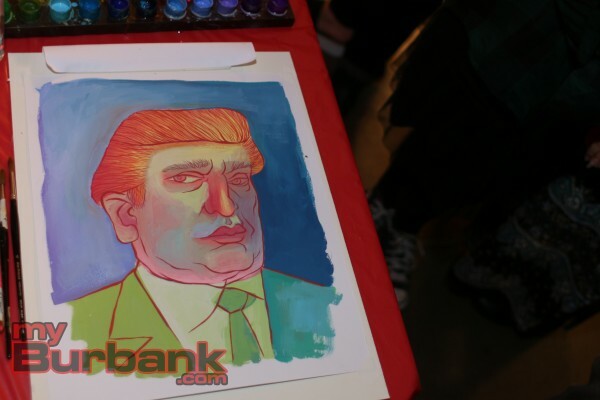 For a look at the first gallery of Secret Art Show creations displayed at the event, visit http://www.burbankartsforall.org/preview-1-sas-2015/. 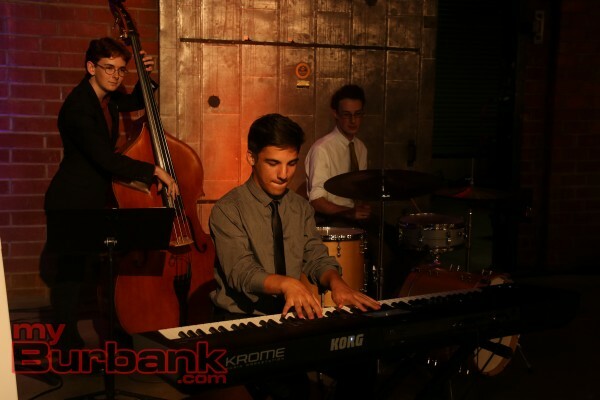 All proceeds will benefit Burbank Arts For All Foundation (BAFA), a nonprofit organization whose mission is to ensure every student in Burbank public schools receives a quality arts education as part of their core curriculum. 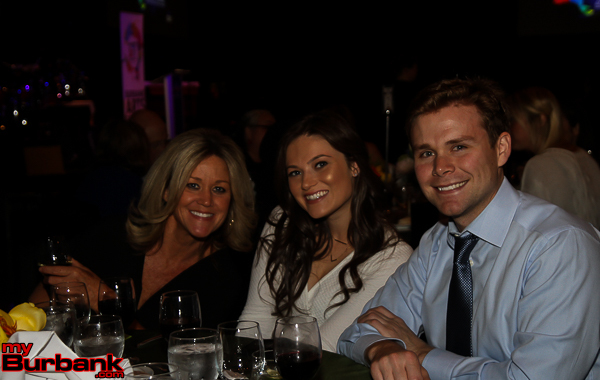 Tickets for the event cost $50 for VIP entry at 6:30 p.m. and $10 for general admission entry at 7:30 p.m. 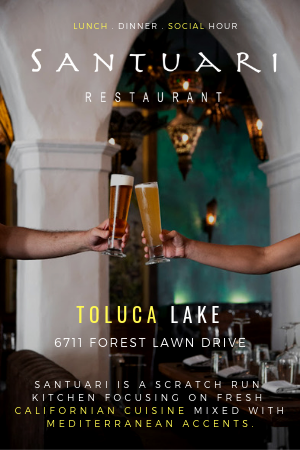 Entry includes food, drinks, live entertainment and the opportunity to purchase individual miniature works of art. 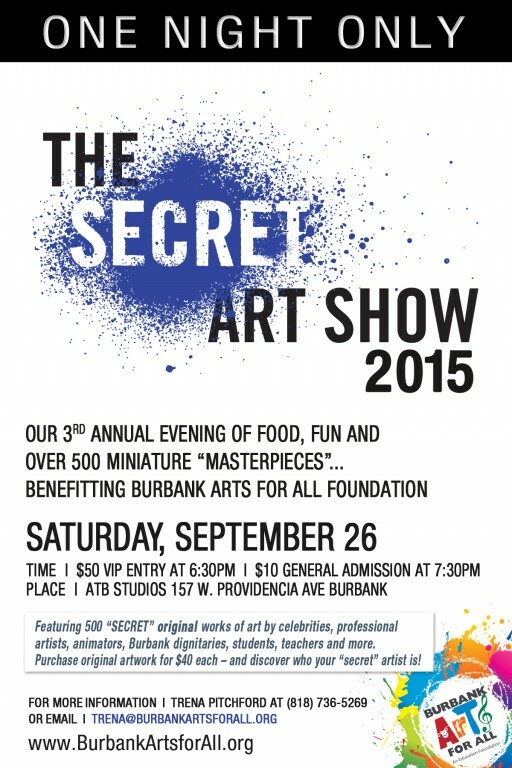 The Secret Art Show takes place on Saturday, September 26, at ATB Studios, located at 157 W. Providencia Avenue in Burbank, just east of Lake Street, and runs until 10:00 p.m.
More information on the event can be found on the BAFA website here. 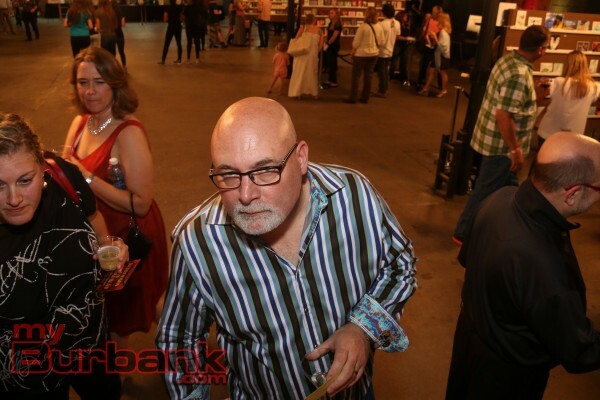 The 2014 Secret Art Show netted over $30,000 for the nonprofit arts education organization. 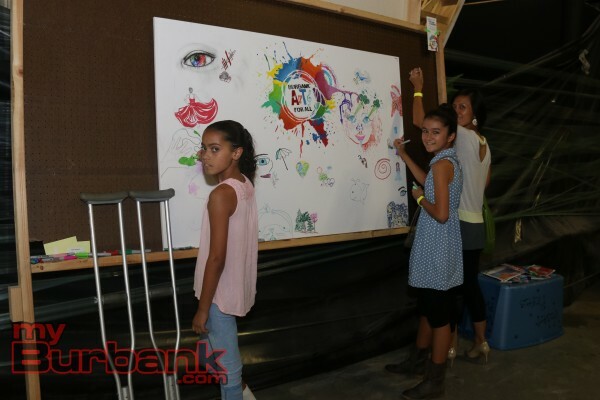 This entry was posted in Events, News, Schools and tagged Arts for All, bafa, secret art show on September 4, 2015 by Lisa Paredes. 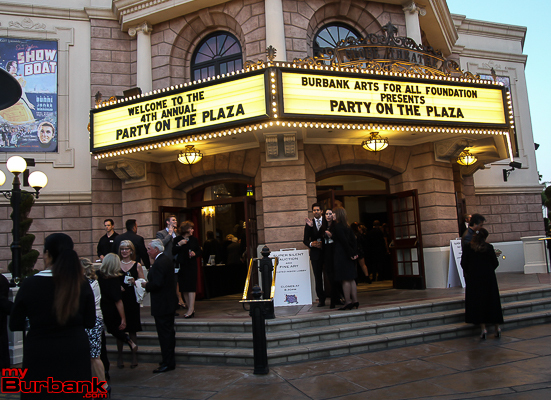 Nearly 400 guests attended the fourth annual Burbank Arts For All Foundation gala, the BAFA Party On The Plaza, at Universal Studios’ Globe Theatre on Friday, May 15. 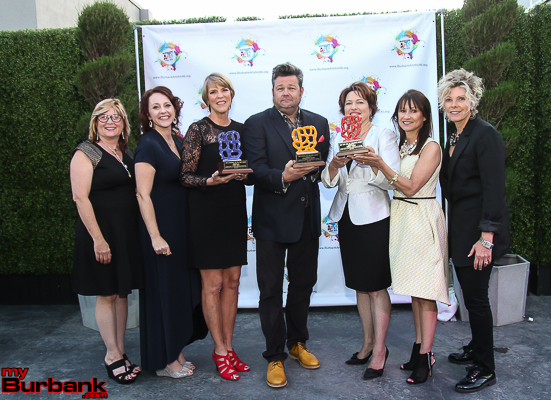 Emceed by NBC4 Weathercaster Fritz Coleman, the event honored Nickelodeon Animation Studios, Burbank High School teacher Jonelle Pickett and volunteer Debbie Wade. 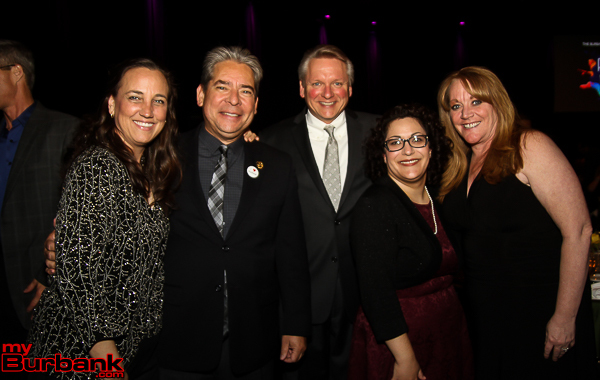 Pitchford acknowledged the presence of BAFA’s partners, the Burbank Unified School District, including current Superintendent Dr. Jan Britz and future Superintendent Matt Hill. 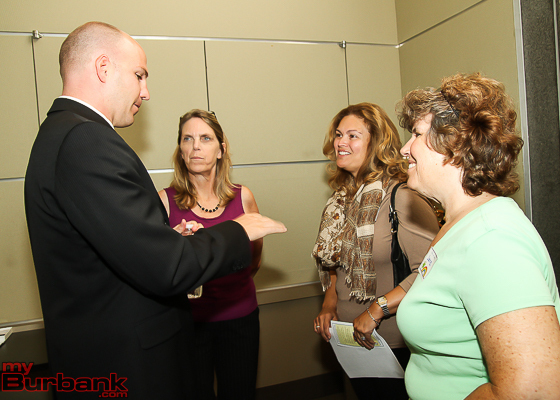 Many BUSD administrators, staff, parents and teachers also attended the event. 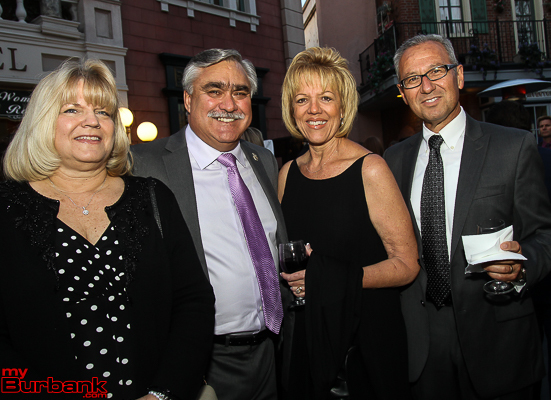 The entire Burbank Board of Education attended: President Charlene Tabet, Vice President Larry Applebaum, Clerk Steve Ferguson and Board members Roberta Reynolds and Armond Aghakhanian. 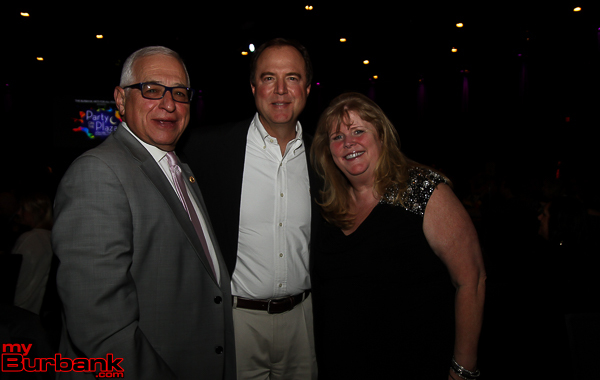 Congressman Adam Schiff, former Assemblyman Anthony Portantino, former Mayor Jef Vander Borght and his wife Susan, award-winning artist and bestselling author David Shannon, Jack O’Neill, Charles Cusumano and Emmy Award-winning actress Valerie Mahaffey also attended the Party On The Plaza, along with City of Burbank Mayor Robert Frutos, Vice Mayor Jess Talamantes, City Council Member Emily Gabel-Luddy and City Attorney Amy Albano. 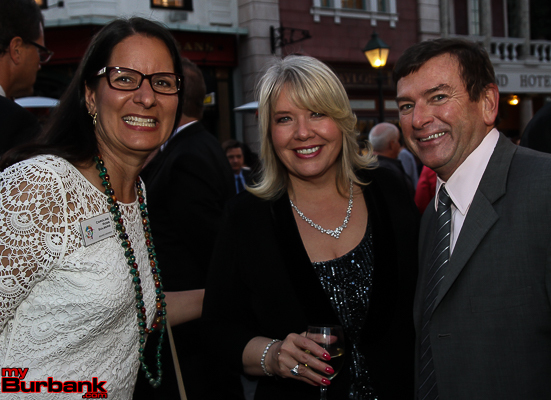 Pitchford also thanked the event’s sponsors including The Walt Disney Company, Warner Bros. Entertainment, NBCUniversal, Nickelodeon Animation Studios and Cusumano Real Estate Group. 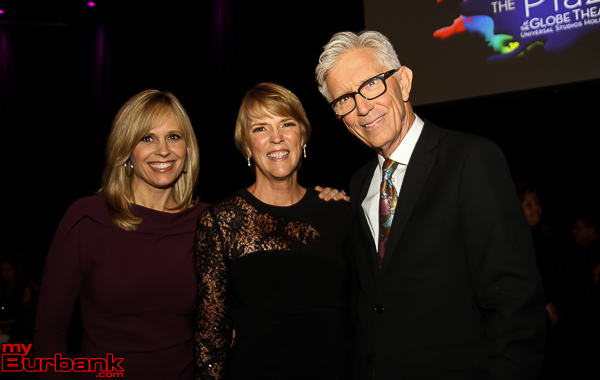 Nickelodeon Animation Studios Senior Vice President of Content Relations David Katz along with Smith and ‎Boris Beaubien, Vice President of Television Production Technologies were there to accept Nickelodeon’s Patron of the Arts award. 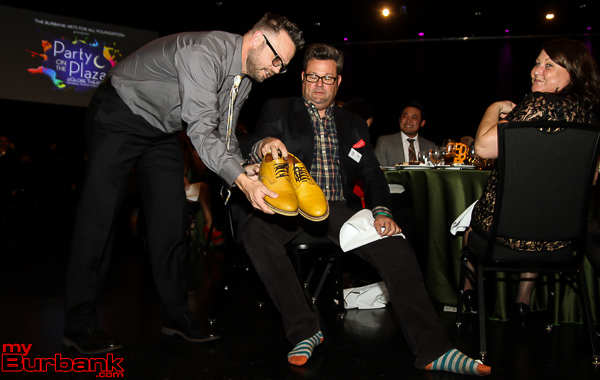 Several creators, artists and producers of Nickelodeon’s animated television shows also attended in a show of support. 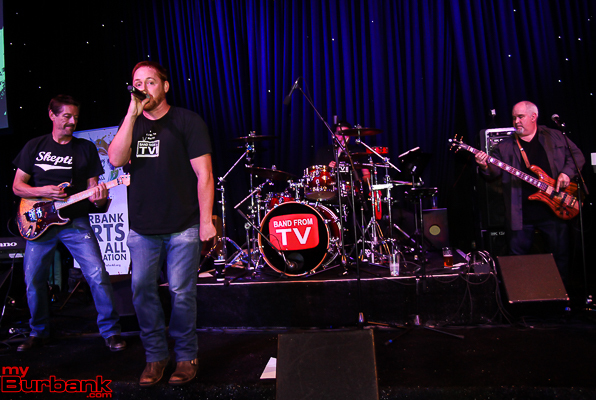 After silent and live auctions, honorary presentations, dinner and dessert, members of Band From TV including Scott Grimes, Bob Guiney, Eddie Mattos, Brad Savage, Barry Sarna, Chris Kelley, Chris Mostert and Efren Ramirez kept people dancing until late in the evening. 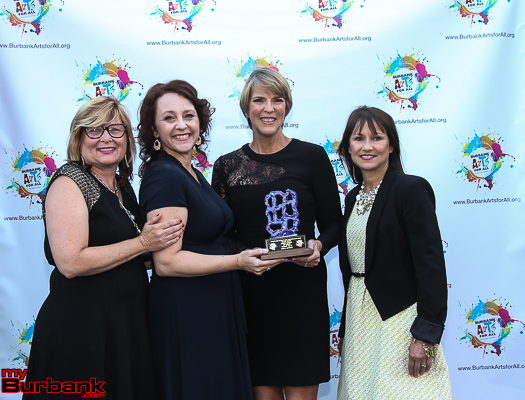 This entry was posted in News, Schools and tagged bafa, bafa party on the plaza on May 21, 2015 by Lisa Paredes. 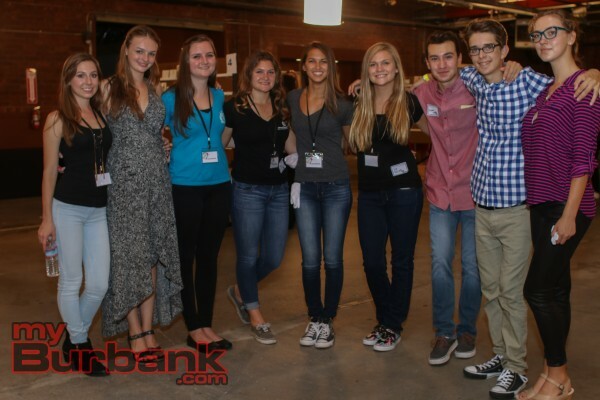 The John Burroughs High School library now boasts of an art library and creative activity center, known collectively as the Burroughs Library Loft. 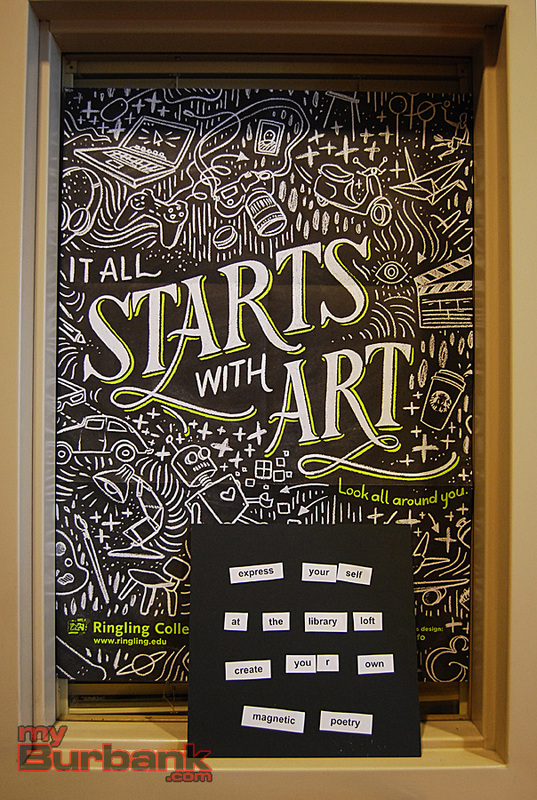 After months of collaborative brainstorming and physical work by librarian Julie Grene and JBHS art teacher Beth Morrison, common areas of the library have been transformed into a place for students and teachers to explore art, create art and integrate art into daily lives and studies. 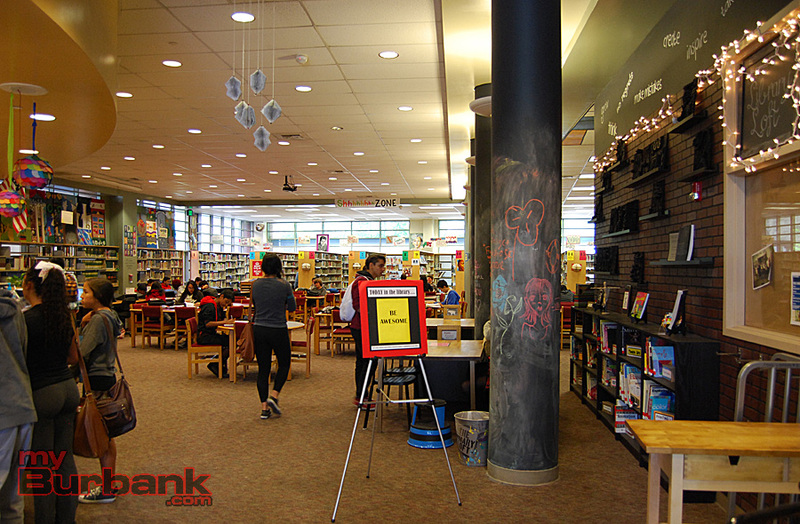 Funded by a Burbank Arts For All Foundation (BAFA) grant for books, supplies and resources and a donation of furniture, manpower and materials from IKEA, the Burroughs Library Loft began to emerge in November 2014. 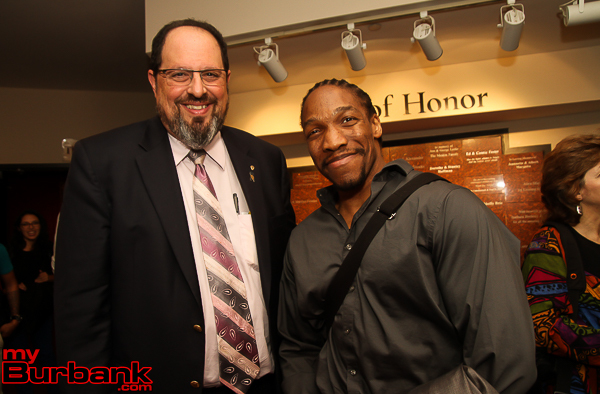 Both Morrison and Grene point to the strong support of then Principal John Paramo as vital to the realization of the project. 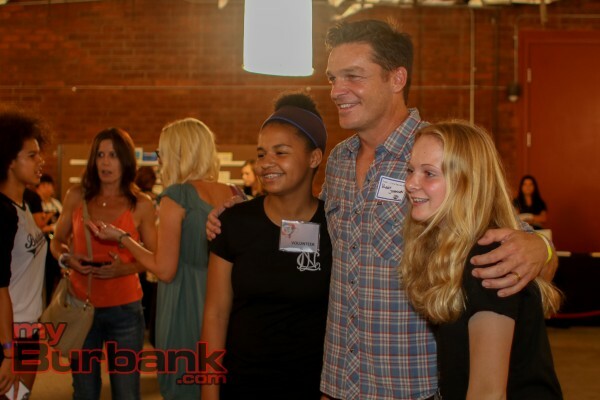 Morrison and Grene spent weekends and vacation days to work on the Library Loft, which officially opened for student and teacher use in February 2015. 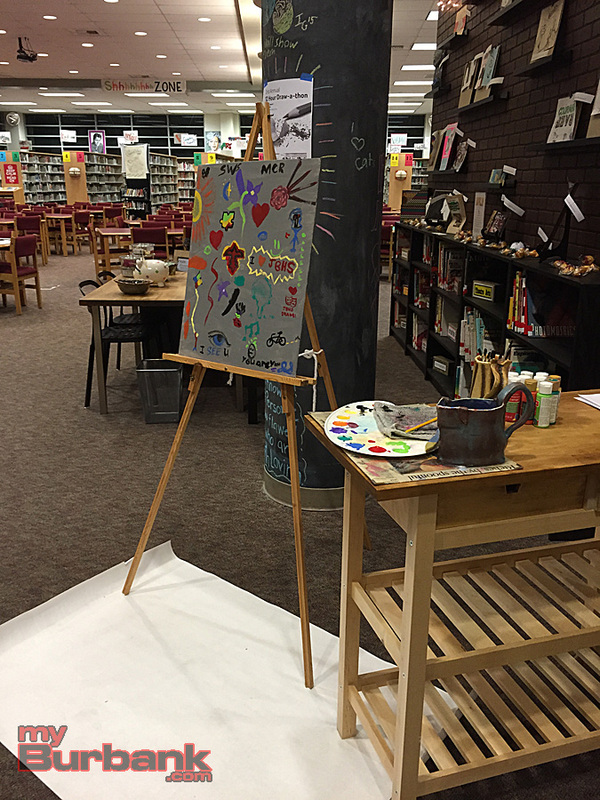 The Burroughs Library Loft has assisted a Health class, an English class and a special needs class to complete art projects. Students create magnetic poetry, write inspirational sayings, draw pictures on the chalkboard columns and draw at the tables. Once monthly, substitute teacher Brian Kukan hosts an after-school meditation group, Breathing Among The Books, open to students, teachers and staff. The group has grown from just a few students at the beginning to nearly 30 students at the most recent meeting April 1. 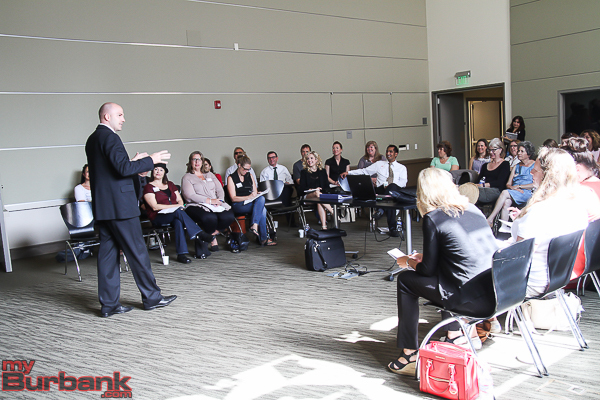 The next, and last meeting for the current school year, is slated for May 6. “I come for the relaxation and to de-stress,” science teacher Jill Tobin told students attending the most recent Breathing Among The Books gathering, most of whom were first or second-time attendees. 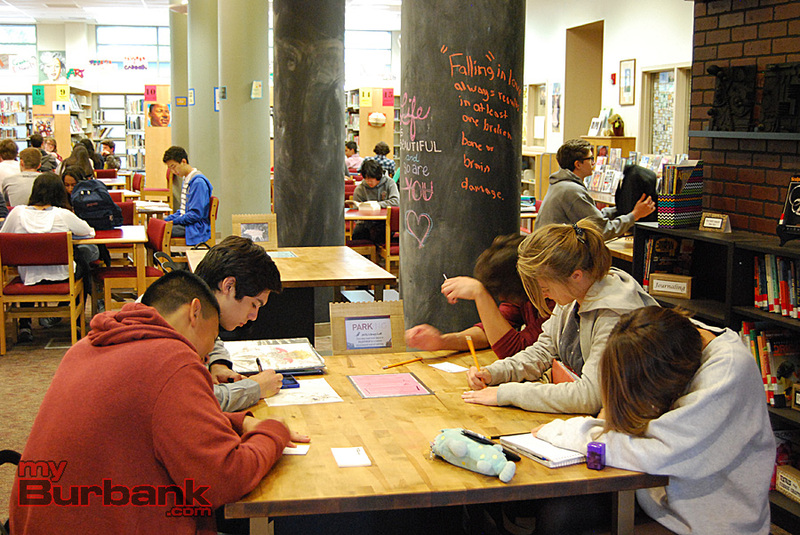 One of Morrison and Grene’s many goals for the Burroughs Library Loft concept is for other schools to adopt the concept and built their own version of an Arts Library. Luther and Jordan Middle Schools have responded positively and want to create resource centers of their own, according to Morrison. The library is officially open 7:30 a.m. to 4:00 p.m. every school day. 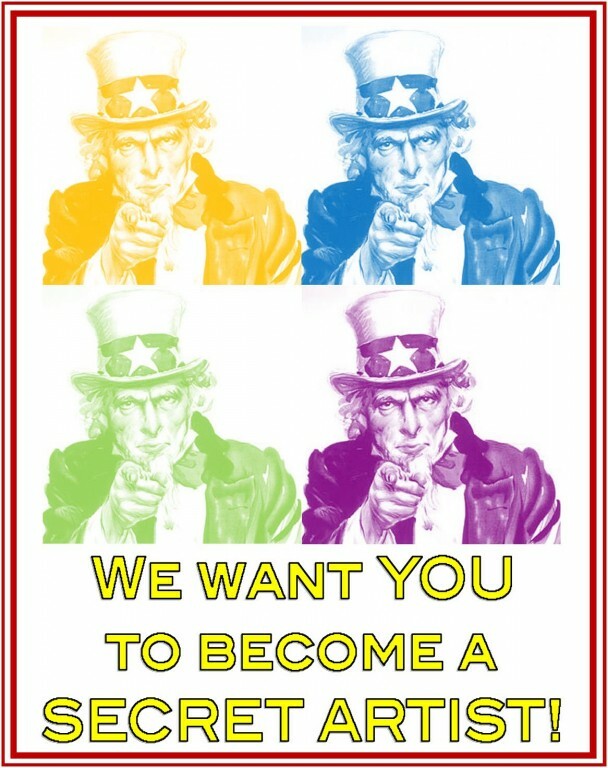 Peer tutoring is offered by California Scholarship Federation students Monday through Thursday for one hour after school gets out. The library has computers, textbooks, magazines, newspapers, a photocopier for student use and reference books, said Grene, who also tries to have additional supplies on hand that students may need to complete their school work. While the library has limited availability in April and May to accommodate testing and textbook collection, Grene looks forward to the fall semester and events planned for the coming school year. Monthly Creative Challenges, after school workshops, teacher workshops, a Curator’s Club to introduce students to careers in the art business are some of the upcoming plans she has in the works, all while continuing to expand the resources available to teachers and students. 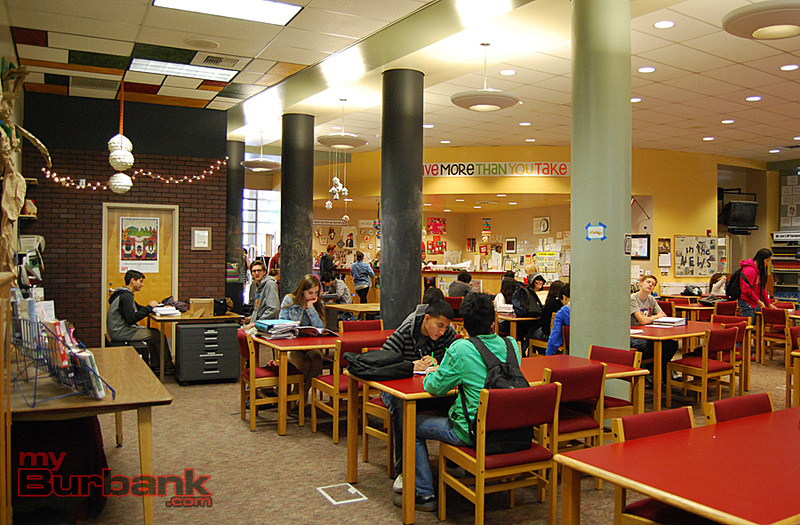 The JBHS library also hosts PTSA meetings and after-school poetry readings and song writing workshops for students, along with college and career planning workshops several times throughout the year. 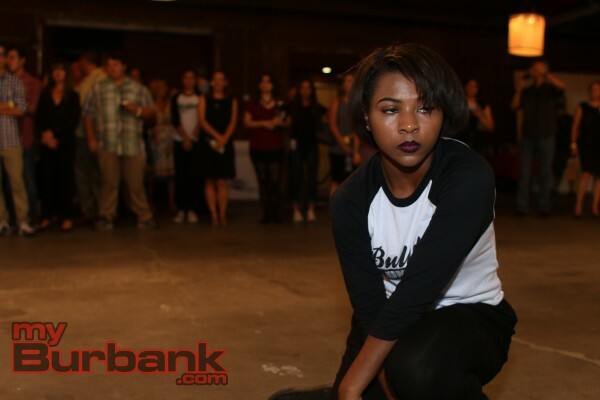 This entry was posted in News, Schools and tagged bafa, burroughs library loft, IKEA, John Burroughs High on April 10, 2015 by Lisa Paredes. 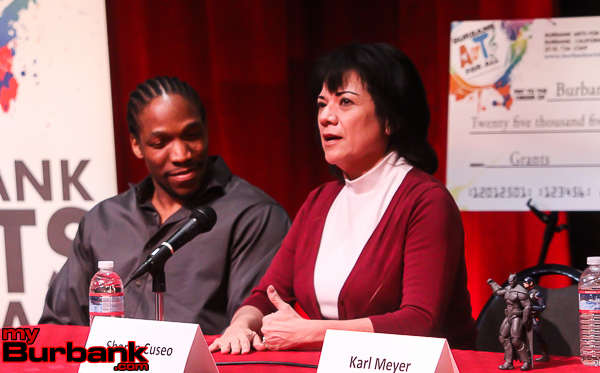 National Endowment for the Arts Chairman Jane Chu observed several elements of Joaquin Miller Elementary’s arts program on Monday as part of an extended meeting with the Los Angeles County’s Arts For All, Arts Commission and Office of Education. 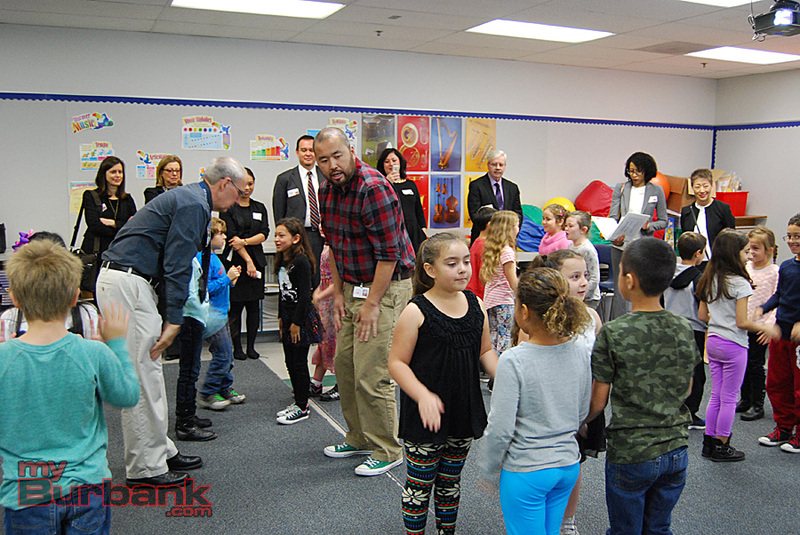 NEA Chairman Chu saw a music class taught by Ian Tam, a theater class led by 24th STreet Theatre teaching artist Suzanne Santos and integrated arts instruction by Kindergarten teacher Deb Weinstein. 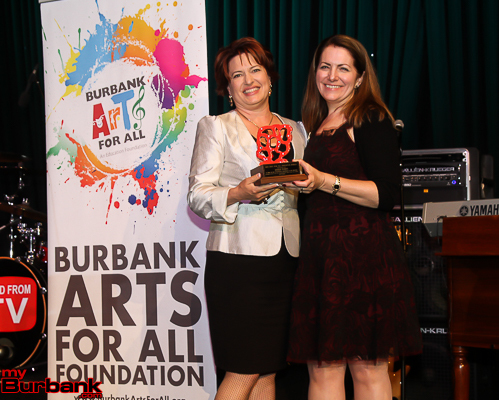 Several Burbank Unified officials also gave presentations on the arts programs in Burbank Unified schools and participated in the discussion, including Board of Education member Larry Applebaum, Superintendent Dr. Jan Britz, Assistant Superintendent of Instructional Services Dr. Tom Kissinger, Assistant Superintendent of Instruction & Accountability Sharon Cuseo, Miller Principal Judy Hession and BUSD Visual & Performing Arts Coordinator Peggy Flynn. 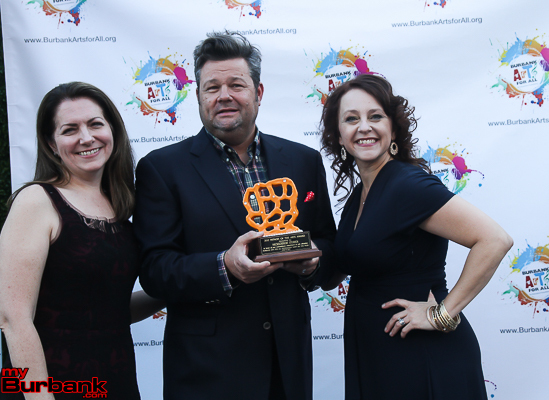 This entry was posted in News, Schools and tagged Arts for All, bafa, burbank arts, BUSD, miller elementary, nea on February 26, 2015 by Lisa Paredes.